Michiru Oshima and John DeSentis have announced their concert, and Kickstarter, to happen at this years G-Fest. 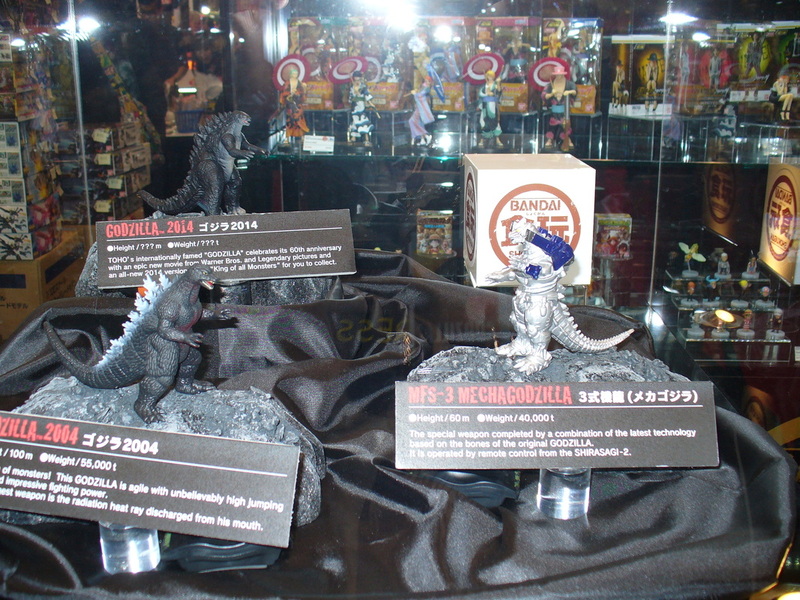 Kaiju Crescendo will include works by Michiru Oshima as well as other selections, check out many of the details below and head on over to Kickstarter to support this awesome project. 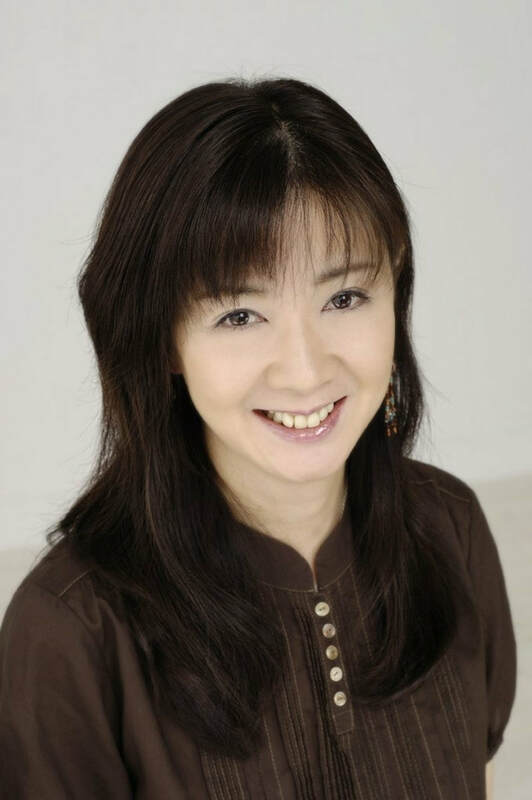 ​MICHIRU OSHIMA WANTS TO HEAR FROM YOU! ​In addition, John will be stepping up to perform some of the most requested score highlights from the Godzilla series and other beloved films from the Golden Era of Tokusatsu. 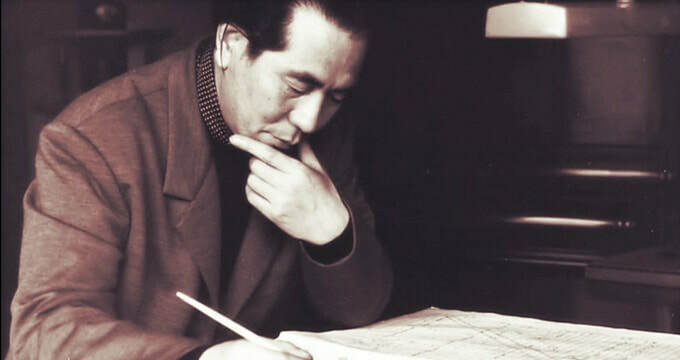 The legacy of Akira Ifukube will be celebrated beginning with "Rodan" (1956) which is the most requested film score by the maestro to get the live treatment with the orchestra. ​All works will be appropriately licensed for recording and performance from JASRAC (Japanese Society for Rights of Authors, Composers, and Publishers) through the Harry Fox Agency in the United States as well as ASCAP (American Society of Composers, Authors, and Publishers). The CDs will be manufactured professionally and be of the highest quality, as will any other rewards. 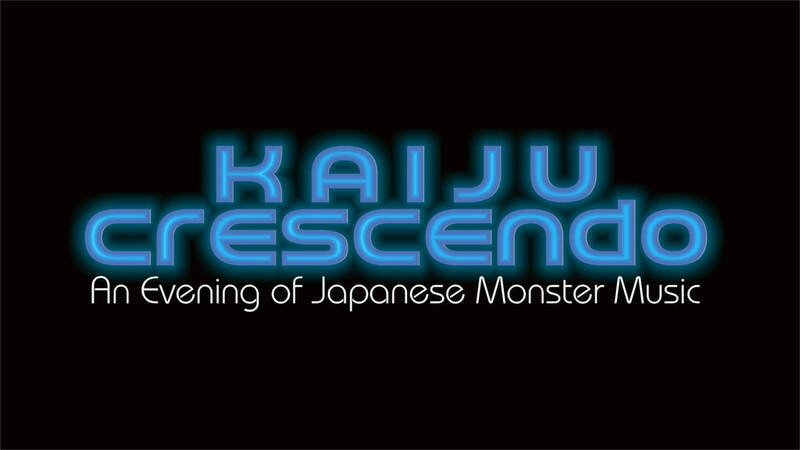 ​Please join us in helping to create yet another memorable and incredible night of Japanese monster music. Remember that even if you cannot attend the concert, your contribution becomes a building block toward the ultimate goal and we have some exciting ways to thank you. Take a look at the Kickstarter rewards we have to offer and pick the one that works best for you (financially or otherwise). 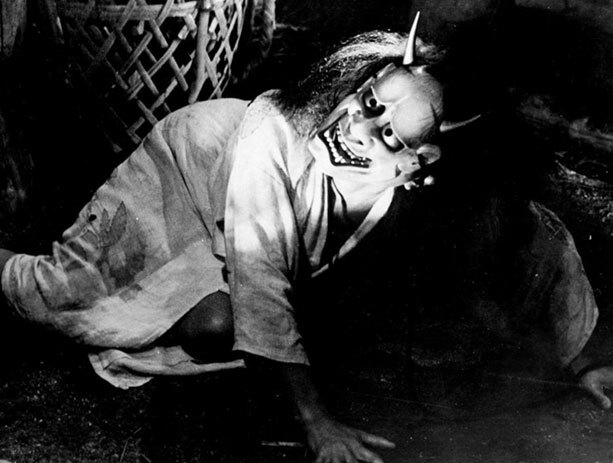 Ghosts and Monsters: Postwar Japanese Horror from BAM on Vimeo. 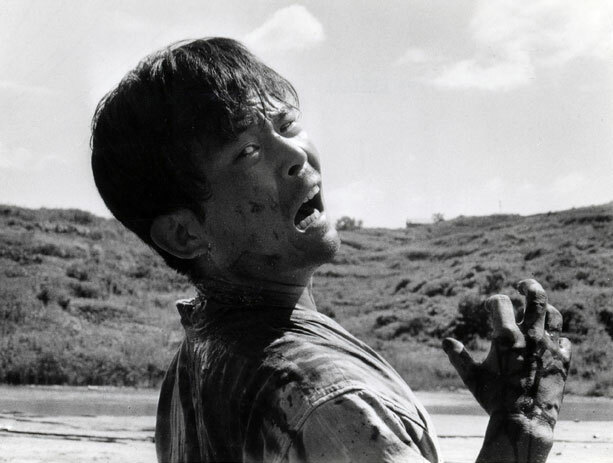 ​​In the wake of World War II and profound social upheaval, Japanese filmmakers channeled national trauma into a rich and distinctive horror cinema. 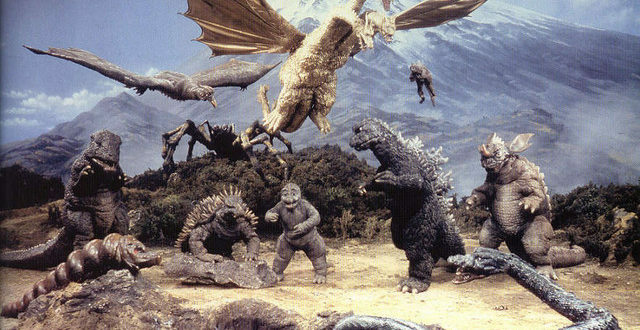 As Toho Studios created new mythologies in the form of iconic kaiju—pop culture-conquering monsters like Godzilla and Mothra—visionary stylists like Kenji Mizoguchi, Kaneto Shindô, and Masaki Kobayashi drew from the past, spinning atmospheric ghost stories from classic Japanese folklore. Fantastical, otherworldly, and wildly unique, these tales of rampaging beasts and supernatural terror are triumphs of cinematic imagination. 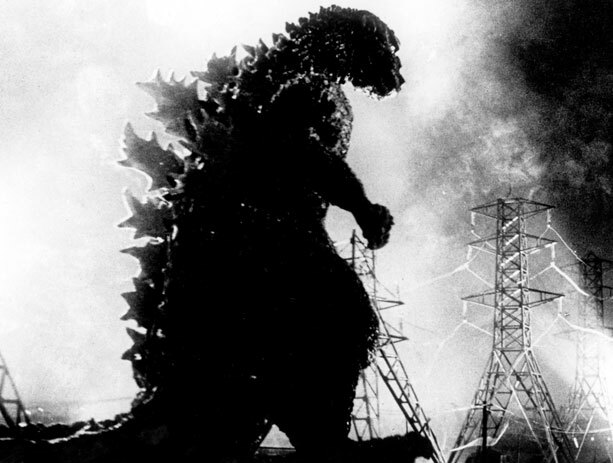 When a series of underwater nuclear tests awaken a long-dormant, radioactive reptile, it’s only a matter of time before the towering, indestructible Gojira stomps his way to Tokyo—and into pop culture immortality. Atomic age anxiety spawned the most iconic (and most subsequently franchised) movie monster of the 20th century, turning national trauma into pulp mythos. 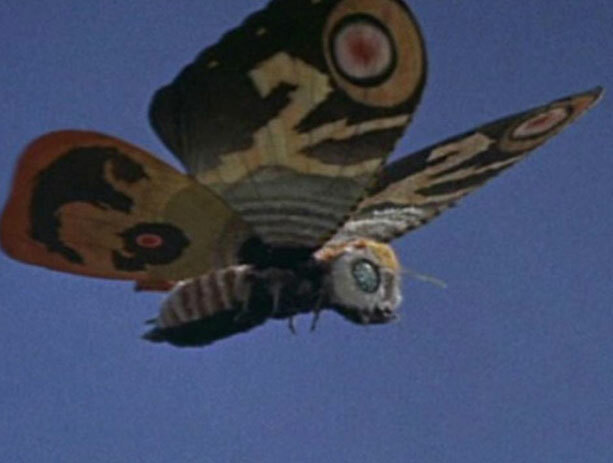 The Toho-verse of mythic beasts continued to expand with the addition of its first female monster: Mothra, a winged avenger who unleashes pandemonium when the fairy-inhabited jungle island she protects is disturbed by explorers. 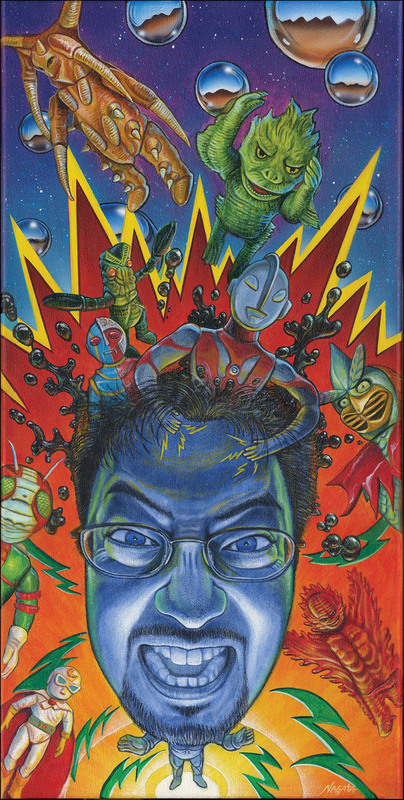 Introducing a rich strain of fantasy and mysticism to his patented kaiju-gone-wild formula, Ishirô Honda crafts a pop art marvel of supreme wonder and strangeness. After their plane crash lands on a remote island, a motley band of strangers find themselves menaced by an oozing, blob-like alien with a thirst for blood—and a hatred of the human race. Writ in blazing, supersaturated Fujicolor, this alternately hypnotic and thoroughly bonkers sci-fi freakout delivers an apocalyptic blend of outré grotesquerie and potent Vietnam-era social commentary. Screening from a rare archival print of an English dubbed version of the film. 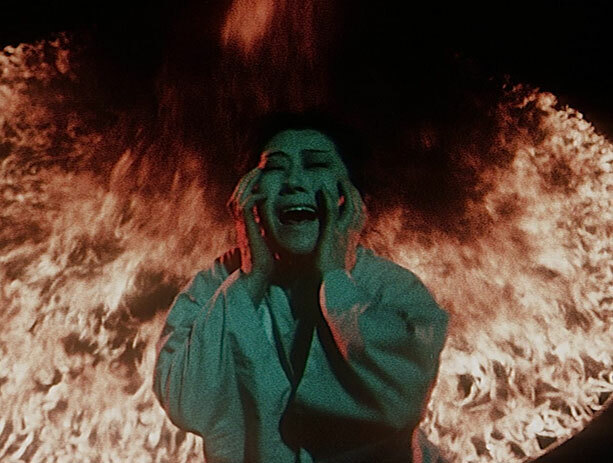 Among the most visually splendorous horror movies ever made, Masaki Kobayashi’s ghostly fantasia brings together four quietly chilling tales of otherworldly encounters adapted from Lafcadio Hearn’s collections of Japanese folklore. 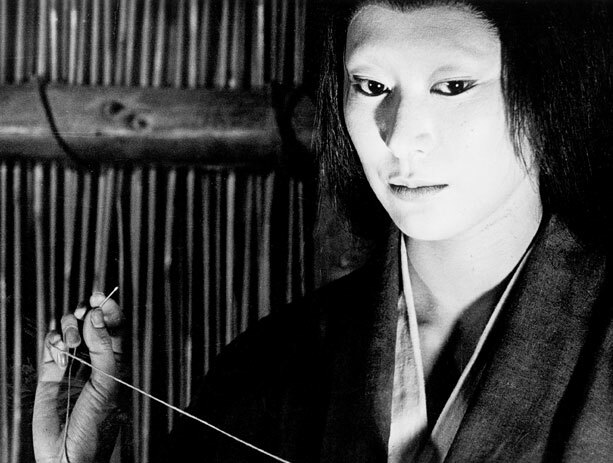 The phantasmagoric art direction—a riot of painted backdrops and expressionistic lighting—and haunting Tōru Takemitsu score create an uncanny, all-enveloping sensory experience. 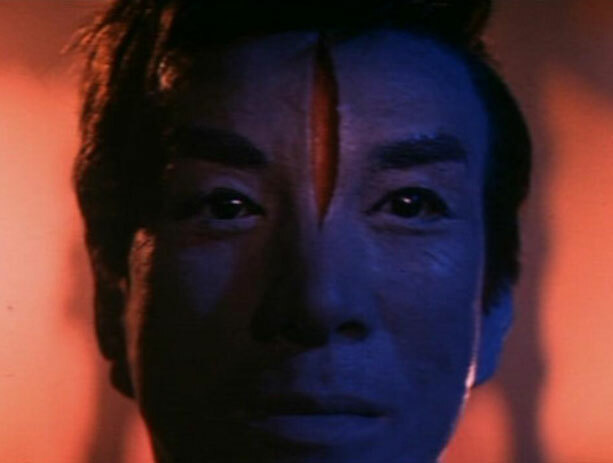 Nobuo Nakagawa—Japan’s Roger Corman and Mario Bava rolled into one—drags us through the pits of hell in this head-spinningly hallucinatory cult classic. 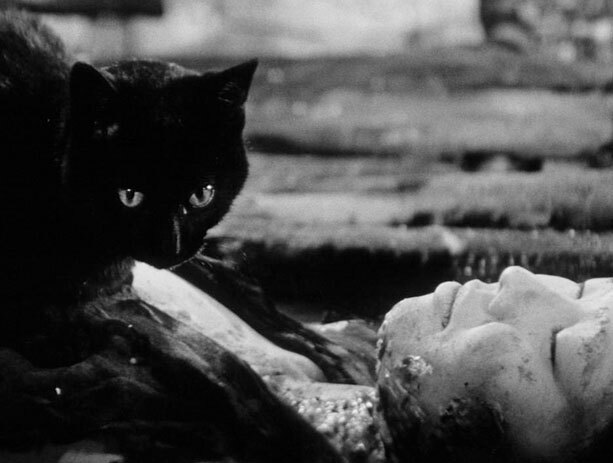 After he flees the scene of a hit-and-run that leaves a yakuza dead, a young man earns a one way ticket to the underworld, envisioned by Nakagawa as an abstract, Boschian nightmare of ceaseless carnage and cruelty. In the marshlands of 14th-century Japan, a mother and daughter-in-law survive by robbing and murdering lost samurai—until primal passions, twisted mind games, and a demonic mask pit them against one another. 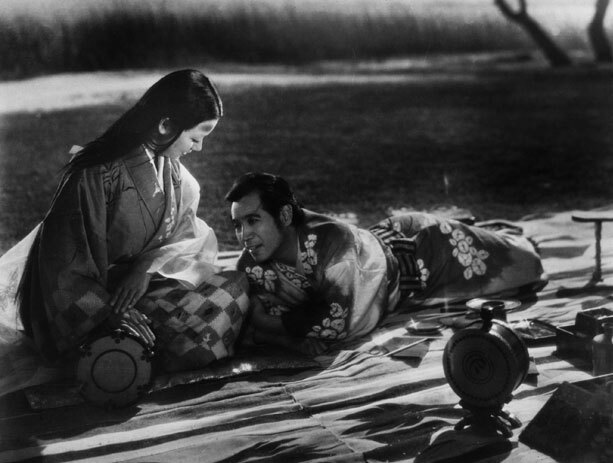 Awash in psychosexual menace and indelible chiaroscuro images, Kaneto Shindô’s nightmare vision of feudal Japan lays bare the dehumanizing horrors wrought by poverty and war. ​With Akira Kubo, Jun Tazaki, Yukiko Kobayashi. culminates in the awesome spectacle of an epic, all-beasts-on-board battle atop Mt. Fuji. L.A. 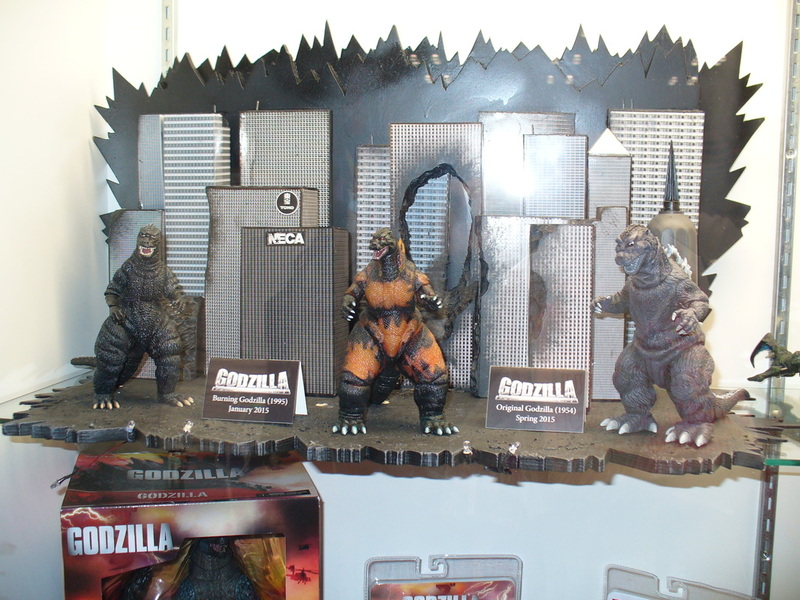 Comic Con has a list of panels up on their website including a few kaiju related panels and one that may give us a hint into the Monsterverse and 2019's Godzilla: King Of The Monsters. Check out some of the panel info below. The Con takes place Oct 26th - 28th at the Los Angles Convention Center. Visionary concept artist, Aaron Sims (Stranger Things, Wonder Woman, Planet of the Apes Trilogy) and the ASC artist team reveal the secrets behind our character and world-building concept designs, previsualizations and visual effects for some of the most iconic film and television franchises of a generation. Through a series of designs, key scenes, 3D models, and VFX breakdowns, we’ll showcase our latest work in bringing to life the characters and worlds of Ready Player One, Rampage, Lost In Space, and more.. from Sketch-to-Screen. From the early days of Tetsujin-28 to the inescapable Evangelion, Super Robots have defined anime. 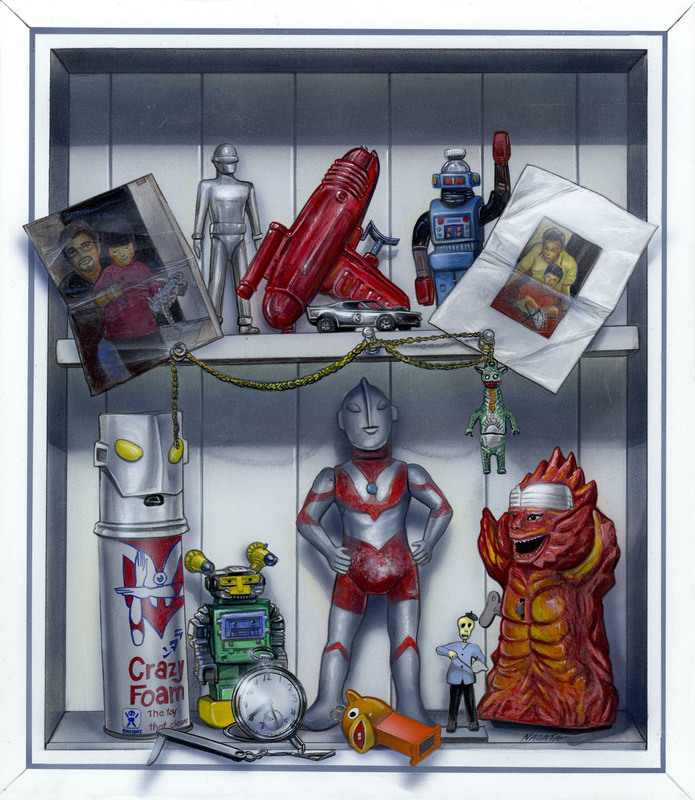 This panel will explore the long time history of the super robot genre spanning from the late 1960s to modern day and how each title built the world of giant robots righting monsters (and other robots). Creature Features is hosting a multi-media exhibit to celebrate the release of Kong: Skull Island. 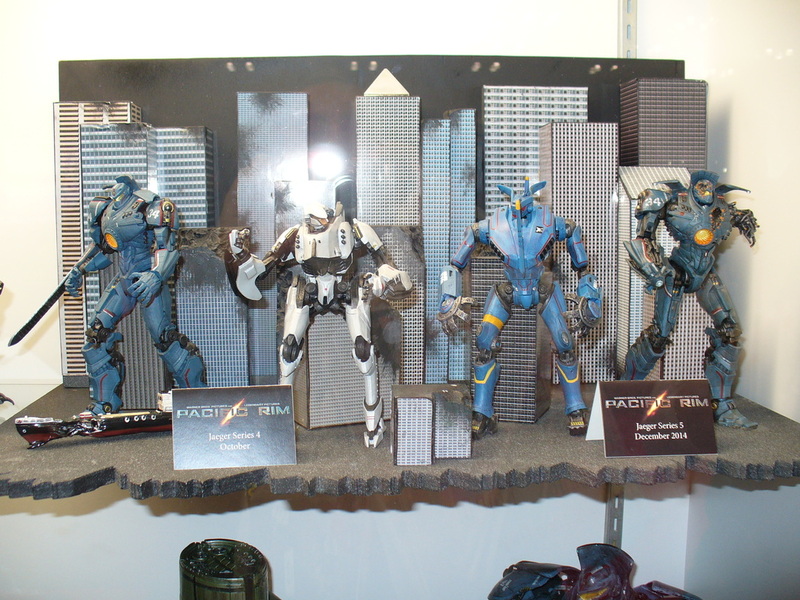 The event opens March 4th and runs through March 12 in Burbank, California. Check out the event info below. 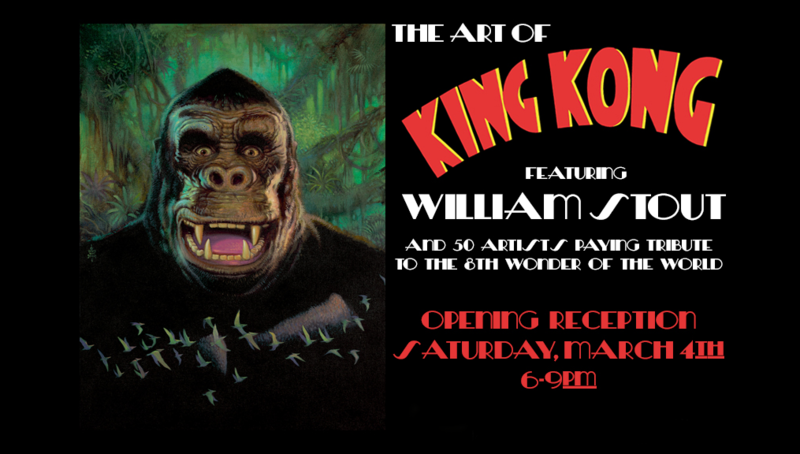 Creature Features celebrates KING KONG—and this spring's biggest arrival, KONG: SKULL ISLAND from Legendary Pictures—with this multi-media gallery exhibit showcasing works from artists in the fields of film, television, fine art, comics, children’s book illustration, and more! KING KONG debuted in 1933, courtesy of Merian C. Cooper & Ernest P. Schoedsack, coupled with Willis O'Brien's landmark stop-motion FX. The unforgettable "Eighth Wonder of the World" left a profound impression on generations of fans and filmmakers, manifesting itself in dozens of Kong-inspired movies and TV shows through the years. 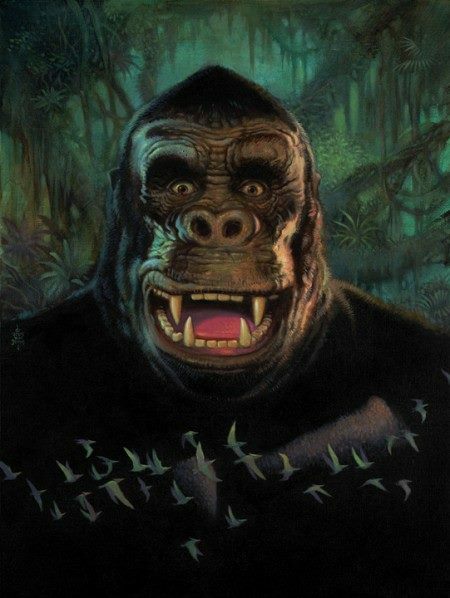 From its own sequel, SON OF KONG, to Toho's Kaiju versions, Rankin/Bass' animated TV show in 1966, Dino De Laurentiis' 1976 version, to Peter Jackson's glorious homage in 2005, Kong has proved the public's unending appetite for the affectionate ape. And, opening on May 10th, Legendary introduces Kong to a whole new generation with its exciting take on the age-old mythos, directed by Jordan Vogt-Roberts and starring Tom Hiddleston, Brie Larson, Samuel L. Jackson, John Goodman and John C. Reilly. Headlined by renowned artist, adventurer and passionate KING KONG aficionado William Stout, the show will also feature dozens of prestigious artists paying homage to whichever relevant version left an impression on them throughout the past 80+ years. Opening reception will take place on Saturday, March 4th, from 6 PM to 9 PM. If you'd like to submit art, contact us at kongartshow@gmail.com. 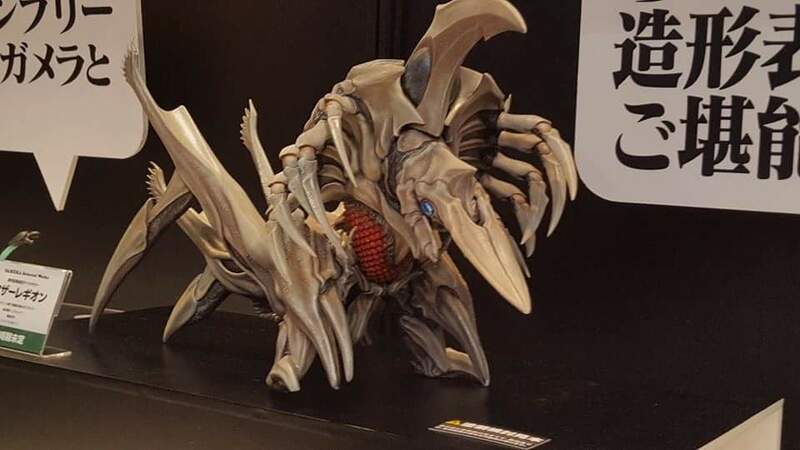 Winter Wonder Festival is this weekend we posted lots of awesome pics on our Facebook page here, but there was also a few surprises. 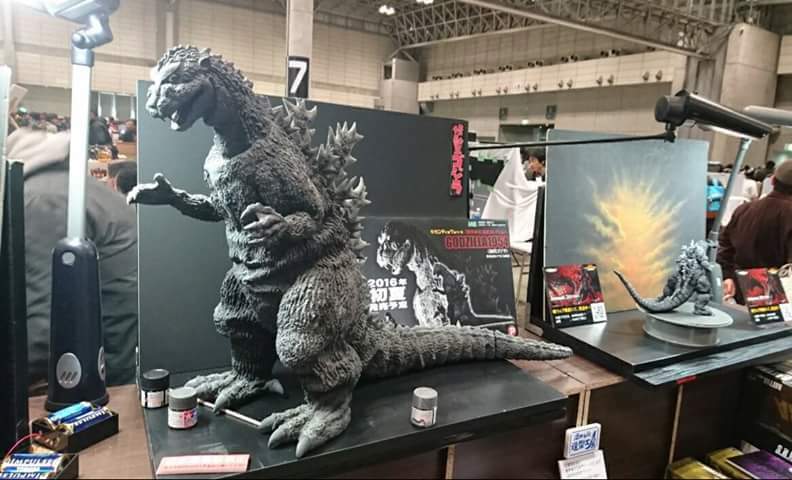 First was the premiere of X-Plus' Gigantic '54 Godzilla Yuji Sakai (above), according to our friends at Kaiju Addicts this is one of a few planned, it should be around 18 inches tall and should be out be summer. 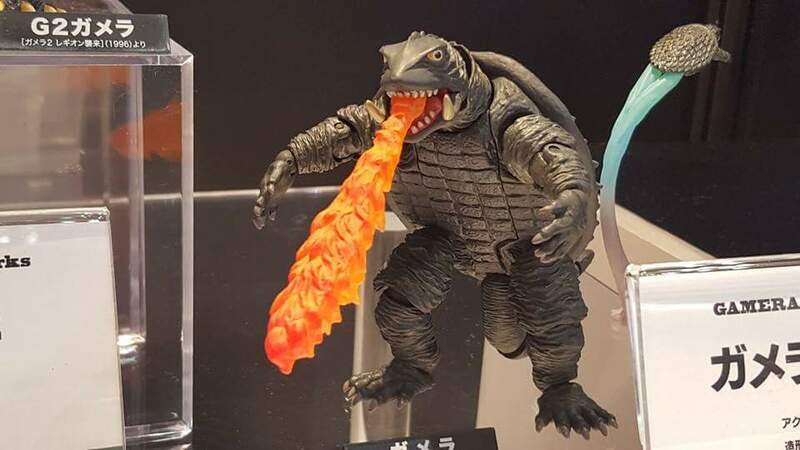 Another reveal was new Kaiyodo/Revoltech Gamera figures (below) there haven't been new ones in a while, no info on these yet we will post when we have it. 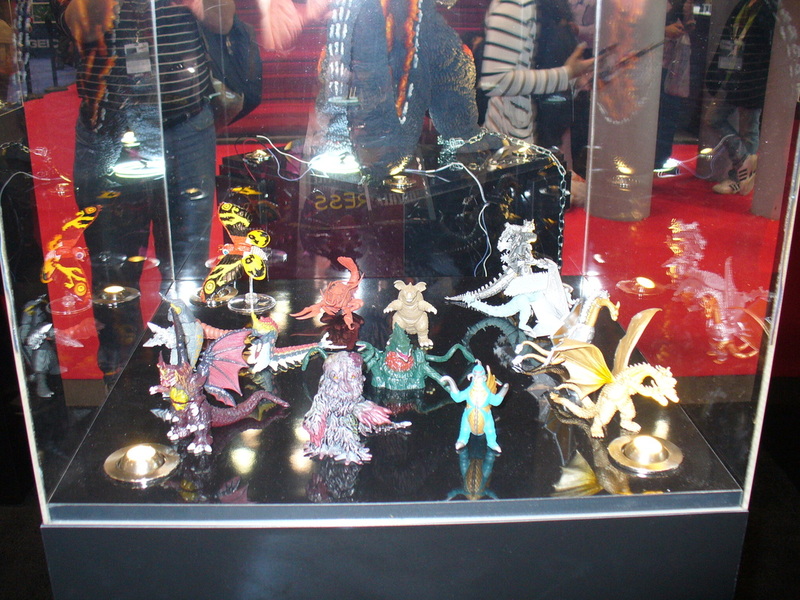 There was a number of other figures and kits shown more info on all of these as soon as we get it. 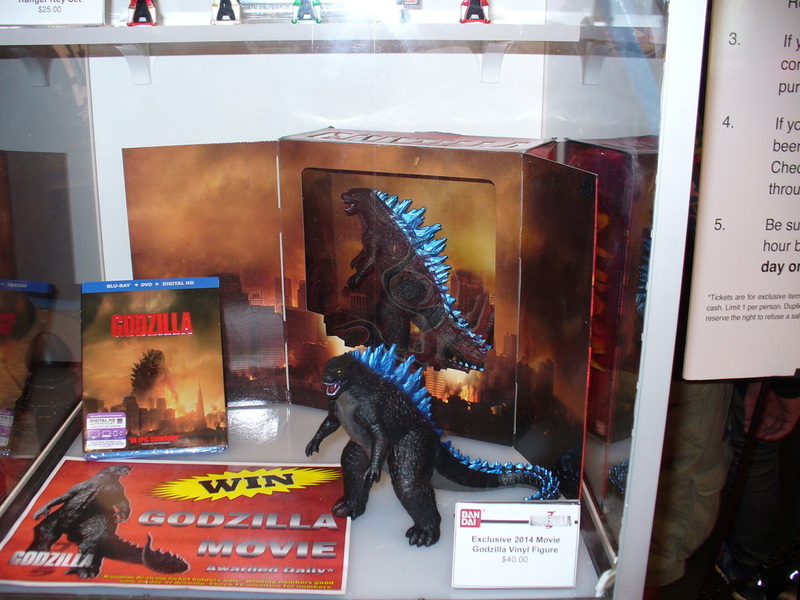 Join BAFE for the 4th annual Godzilla Night at the Historic Bal Theatre! This year we are presenting a mini film fest based on the brand new documentary called "Kaiju Gaiden"! 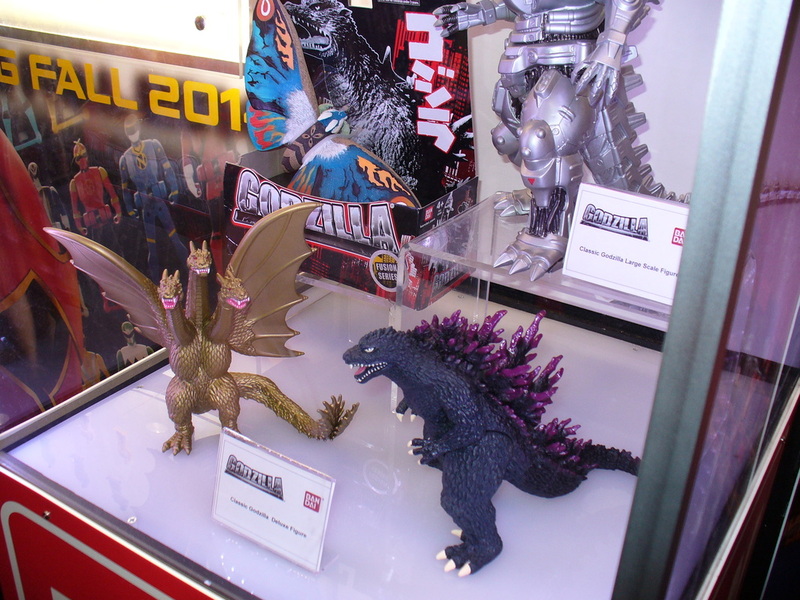 "Kaiju" is the Japanese word for "monster", meaning "strange beast". "Gaiden" is a Japanese word which means "outside story". It normally refers to a supplemental story or spin-off. KAIJU GAIDEN is the continuing story of the giant monster genre. KAIJU GAIDEN is also the title of a documentary film by director/producer David Hall spotlighting various Japanese filmmakers who have continued the tradition of tokusatsu (special effects) movies. 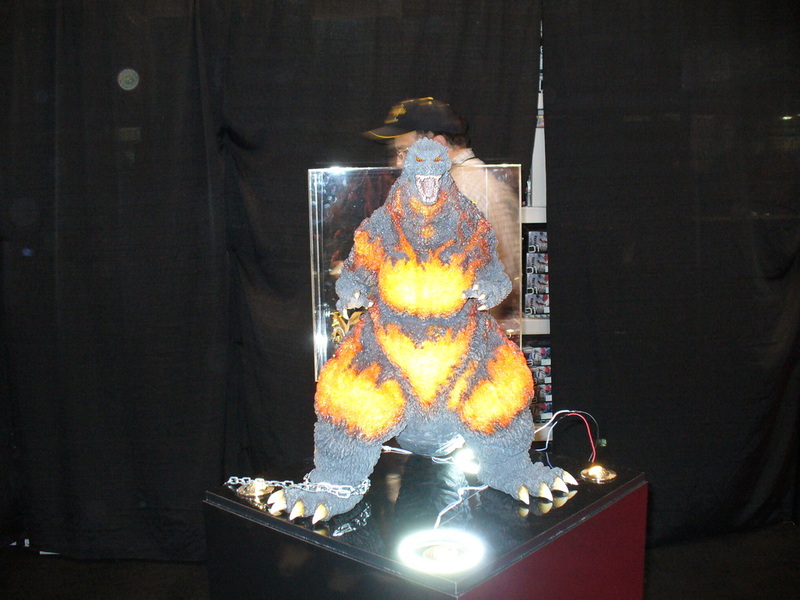 It is part of the Independent Kaiju Project, an endeavor by producer Mark Jaramillo to track down, catalog, and promote independently made kaiju films that have languished in obscurity. KAIJU GAIDEN is the first documentary which assemble various filmmakers who have produced their own movies featuring gigantic monsters stomping cities and engaging in savage battle with one another. Although made at different time periods, the directors still utilize traditional special effects techniques unique to the genre, sometimes supplemented with modern technology. The directors will tell their respective stories of their love for the genre, their inspirations, and the issues involved in making a special effects film. Mark Jaramillo will be on hand to present some of the amazing shorts that will make up the documentary, including Gamera 4, Gehara, Wolfman vs. Godzilla and others! And if that wasn't monstrous enough, our co-feature is the absolute classic of Japanese monster cinema, the film that started it all, the original GODZILLA, KING OF THE MONSTERS (1956). This version of the original film has not been seen on Bay Area theater screens since we showed it in 2004 at the Castro Theatre for Godzillafest! And to add to the excitement, this year we have an additional matinee! An encore of the first film we launched Godzilla Night with, KING KONG VS. GODZILLA! All this, plus prizes and merchandise from BAFE's Kevin deAntonio, Kaiju Vinyl Legion's James Osborne and art by Gaz Gretsky! Plus other cool surprises!! An amazing time is guaranteed for all! Check out all the details and info here. On July 12th, 2014, hundreds of Japanese Tokusatsu (special effects) fans descended upon the Pickwick Theater in Park Ridge, IL for "IFUKUBE 100: A LEGACY OF MONSTER MUSIC". This historic concert was a celebration of the music that maestro Akira Ifukube wrote for Toho's Godzilla film series. The Rondo Award-nominated event was met with praise, accolades, and recognition from Chicago to Tokyo. Friends and fans were in awe and left wanting more. The time has come to deliver just that, even bigger and better! 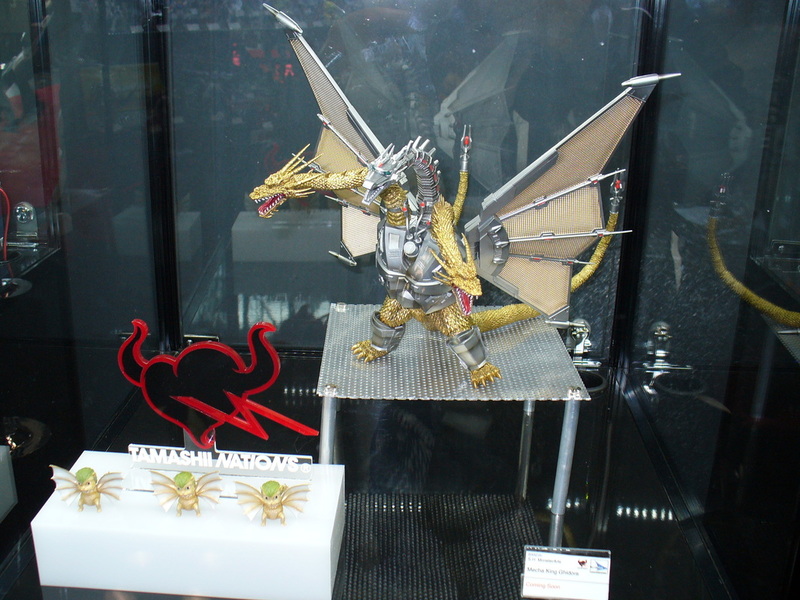 One of the biggest requests by the fans was to hear some of the themes that Mr. Ifukube wrote for non-Godzilla Toho films such as "Atragon", "The Mysterians", and "War of the Gargantuas". So to satisfy this, as well as deliver for the people who missed out last year, we will be conducting the FIRST EVER North American live performance of Mr. Ifukube's concert work "Symphonic Fantasia". 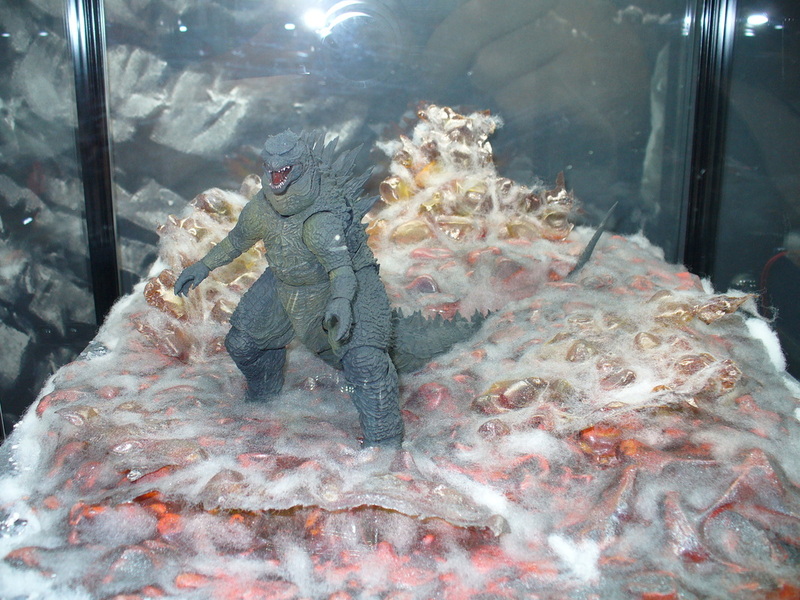 This three movement piece, which was accompanied by scenes from the corresponding movies for the Toho Video release of "Godzilla Fantasia", features not only the best of his work from the Godzilla series, but also from the other aforementioned films. Symphonic Fantasia will be performed under license from Toho Music. But that is only one portion of what we have in store for all of you. The first portion of the concert will focus on the incredible music of the composer Kow Otani. In 1995, Mr. Otani was called upon to be the musical anchor in director Shusuke Kaneko's "Gamera: Guardian of the Universe"(1995). 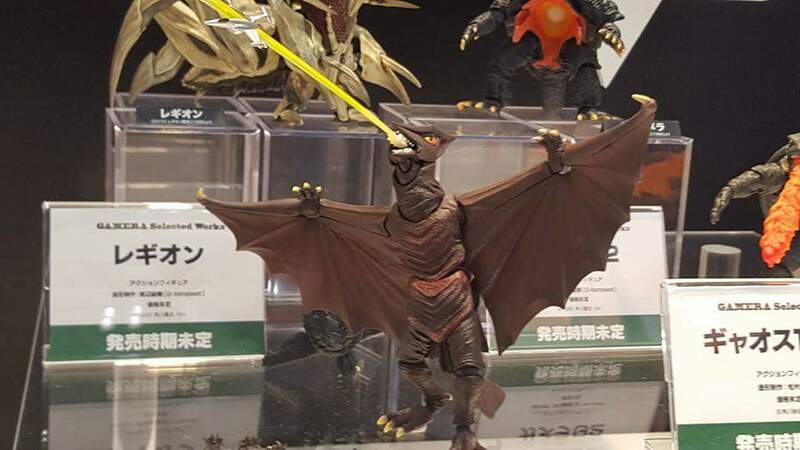 This fantastic film was a throwback to the incredible kaiju films of Ishiro Honda and Eiji Tsuburaya and re-established Gamera as viable franchise. 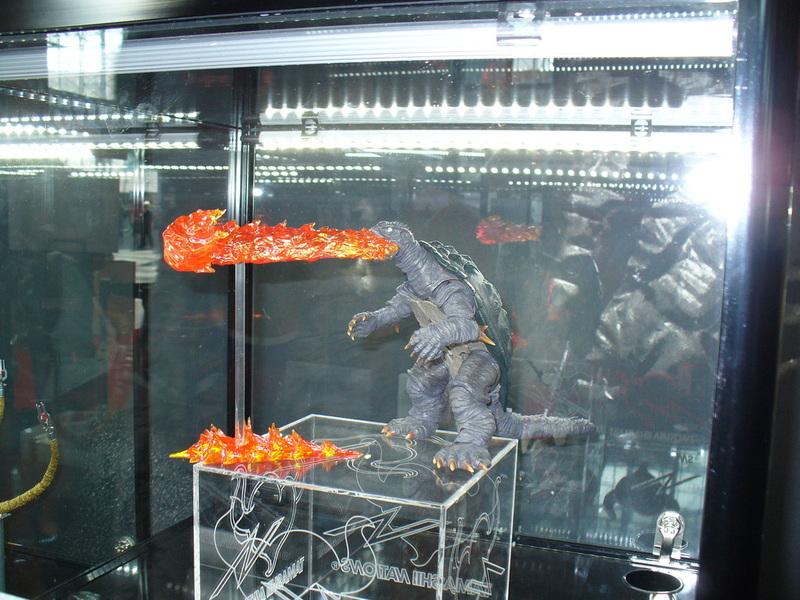 Otani and director Kaneko re-teamed for two sequels, "Gamera 2: Assault of Legion" (1996), and "Gamera 3: Revenge of Iris" (1999) before collaborating on "Godzilla, Mothra, King Ghidorah: Giant Monsters All Out Attack" at Toho Studios in 2001. 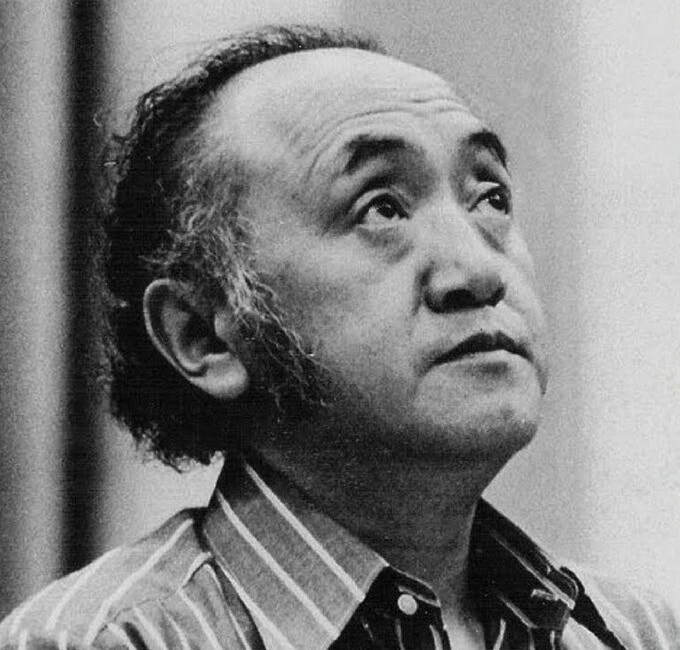 This performance will be the WORLD PREMIERE of Mr. Otani's kaiju scores, as they have never been performed live even in Japan, and he is working directly with us to ensure that the music is represented with absolute respect and authenticity. One of our stretch goals will also be to bring Mr. Otani to the concert as the guest of honor. As it did last year, the concert will take place in conjunction with G-FEST on the weekend of July 10th-12th, 2015. 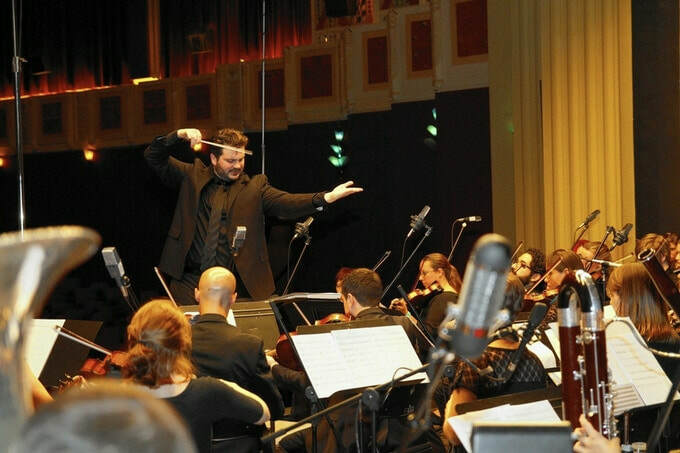 Again taking up the baton for the performance will be John DeSentis with an orchestra of exceptionally talented freelance musicians from the Chicago area. We also want to make sure that our friends and fans understand that this fundraiser is for the production of the show. Tickets will be separate for those under the $200 backer level. However, backers and convention attendees will get first opportunity to purchase tickets at discounted pricing. Precise details about show time and date will be announced after the campaign. Check out the full detailshere. We are attending NYCC and will be covering the con along with our sister site The Brightest Day, be sure to check here under Fanworks/Events-Cons section as well as our Godmera's Fandom section (under the Features section) which includes the live feeds from NYCC.